Hoyt Charger with FUSE kit. If you are looking for a dependable, fast, high quality bow that scores high in any customer review and is easy on the pocket look no further – Hoyt Charger is exactly what you need. 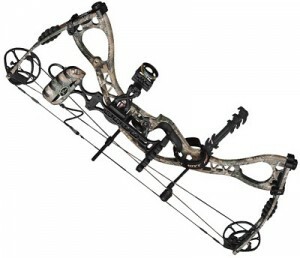 This bow despite its high-end specs and performance has a very reasonable price tag of less than $500. The ultra rigid TEC LITE riser and Pro-Lock limb pockets ensure you won’t experience any vibrations or recoil. Behind the speed of this compound are uniformly preloaded split limbs that are in past parallel position. Charger has been praised in numerous customer reviews for its silky smooth draw cycle which can be attributed to the unique design of its hybrid cam system. The bow feels just right in the hand thanks to the ergonomically shaped rubber grip which can be easily replaced if you prefer so. Charger is equipped with a famous TEC (Total Engineering Concept) LITE riser. The extensive cutouts makes it incredibly light while unique geometry provide unparalleled strength of the structure. It’s construction similar to the architecture of a bridge with evenly distributed load eliminates the flex which means no recoil. Thanks to the patented technology TEC riser makes this compound exceptionally accurate. It’s shape guarantees not only high performance but also makes it stand out in terms of its aesthetics. The riser has stabilizer mount made of stainless steel and on its back features Stealth Shot string suppression system. Charger comes with Hoyt’s renowned Pro Fit grip system thanks to which you can easily change the grip to suit your needs. The default black, rubber grip is quite wide but feels just right in the hand. Due to it’s design, texture and materials used it dampenes any residual vibrations and offers exceptional thermal insulative properties which makes it very comfortable to use in cold winter days. There are four other grips to choose from that can be used with Pro Fit grip system, including wooden grips. The beyond-parallely positioned quad limbs are manufactured using Hoyt’s multilayer lamination technology which ensures high performance and great reliability. The lamination process enables contouring and preloading the limbs with Uniform Stress Distribution Technology (USD) which in turns facilitates even distribution of the energy over the entire limb during the draw. It eliminates the “hot spots” known in other limb systems and provide more speed with limited stress to the limbs. As the limbs are 2.5 inches wide they offer unmatched torsional and lateral stability. The limbs sit firmly in place thanks to Pro-Lock pivoting limb pockets. Their high quality and advanced technology ensures bow’s accuracy and consistency. Six hard locking points per limb guarantee precision and reliability of the design. Behind the speed and smoothness of the draw stays Hoyt’s hybrid cam system called Charger Cam & ½. 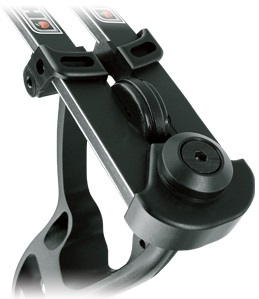 This cam system was specifically designed for this bow. It comes in three different configurations covering a wide range of draw lengths from 24 inches to 31 inches. One cam covers draws lengths between 24 and 26.5 inches, second 27 to 30 and third is for 30.5 and 31 inches of draw length. Cam modules can be easily exchanged without a need for a bowpress. A generous let-off and a forgiving valley which can be attributed to Charger Cam & ½ system make aiming very comfortable. Charger comes with high quality Fuse strings and cables. They are produced using a special machine that provides constant tension during the process. 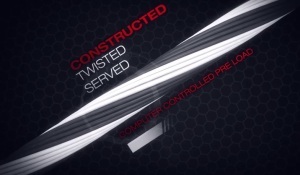 The technology behind this process (Continuous Tension Technology™) enables Fuse to construct, twist and serve the strings while being preloaded of several hundred pounds. This unique manufacturing ensures highest level of performance which greatly exceeds traditional methods. After production inspection is done by experienced craftsmen to ensure flawless work. Fuse string used in Hoyt Charger. This string is made with BCY X material. Fuse strings used in this compound are made from BCY X material which is a mix of SK90 Dyneema and Vectran. A similar concept as 452X material, however, with less Vectran. It is composed of 83% SK90 Dyneema and 17% Vectran and therefore offers all the benefits of 8190 along with additional stability. Some bows produced in the first half of 2013 had issues with string tearing. The premature wear is localized where the cable rolls over the cams. Some professionals suggested that it was caused by the shape of the cam. Hoyt has never admitted that there was a problem but the cams were redesigned and after mid-2013 they are more round in shape. Users of affected bows were usually offered a replacement string and new cams by the customer service. Several cases of string snapping under full load are described on various internet forums but none of them resulted in damage to other parts of the bow. This may suggest that Hoyt Charger is quite resistant to accidental dry fire. Black Out (black riser and limbs). Alpha Shox – mounted on limbs state of the art vibration dampeners. The five-fin shape was rigorously tested and proven to dampen any vibration more efficiently than any other design. It guarantees whisper-quiet shoots without compromising the performance. Stealth Shot String Suppressor – newest Hoyt’s vibrations reduction and silencing tool that effectively kill noise and recoil. Promotes clean arrow launch and prevents arm slap. With its new elastomeric material that is softer and thus quieter Stealth Shot String Suppressor makes Charger more accurate and quiet than ever. Thanks to the stabilizer mounting on the front of the riser a stabilizer can be attached if you find it necessary. 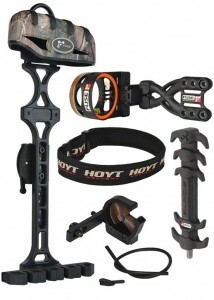 According to most Hoyt Charger customer reviews if the bow is properly tuned the stabilizer is not needed. Peep Sight & Alignment Tubing.